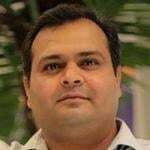 A week before the prime minister’s visit, Fawad Chaudhry will hold meetings with key political figures of the province. Last month, the information minister had ‘postponed’ his planned visit to Sindh after a Supreme Court hearing went against the PTI government’s stance on ongoing investigations of fake bank accounts case. The apex court had directed the federal cabinet to reconsider the list of 172 individuals -- named in the JIT report -- who were placed on the ECL. Chief Justice Mian Saqib Nisar had expressed displeasure over the government’s initiative. The information minister said that the NAB will investigate regarding Murad Ali Shah. He Pakistan had unfortunately been ruled by a pack of people in the past who were not interested in improving its image. “Those rulers robbed the national wealth and filled their coffers,” he alleged. Fawad said the vision of the prime minister to make the country like that of the State of Madina was not political but social one. “He wanted to make Pakistan a state which was tolerant, where freedom of speech was encouraged and justice to all and sundry was ensured,” Fawad said. "This kind of treatment has never been meted to anyone in the past. Persons like Wali Khan and Faiz Ahmed Faiz were trialled in Attock Fort and closed in jail cells, but Nawaz Sharif was dealt with in a different way," he said. Similarly, he said, Shahbaz Sharif was a prisoner on paper, but he lived at a home and whenever he wanted he could order the prosecutors and NAB officials as chairman of the Public Accounts Committee to appear before him. To another query, he said Imran Khan would come up to the people's expectations. "Just give the PTI government two to three years and you will hail it for the epoch-making reforms undertaken by it," he said. Commenting over the issue of ECL, he said he was not planning any foreign trip anytime soon. However, he said, if he had to depart for Haj or on a pilgrimage to Karbala in Iraq then no one will be able to stop him from doing so. He said no ban has been imposed on the visit of Fawad Chaudhry, adding that those who were coming to Sindh stopped themselves. To a question, he said the point of view of PPP on military courts has been explained already.